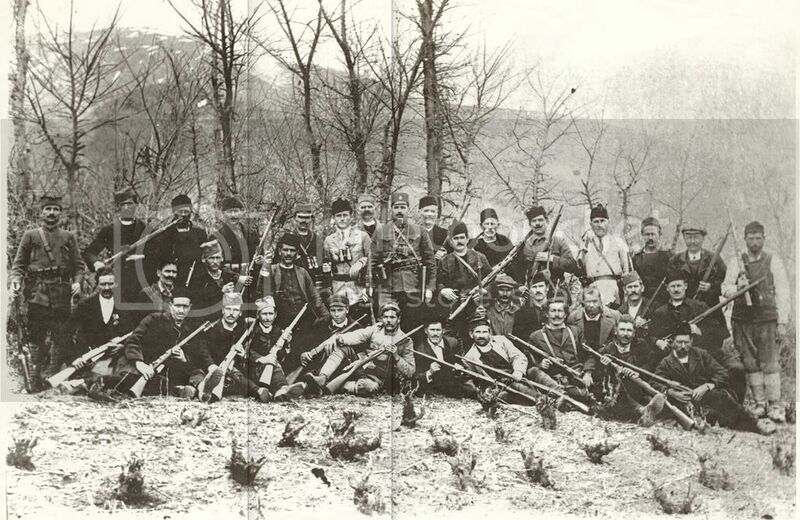 At the turn of last century the tensions in the Balkans resulted in scuffles and squirmishes that involved both civilian and Military personel to form armed bands. This is an example of a Serbian led band circa early 20th century. 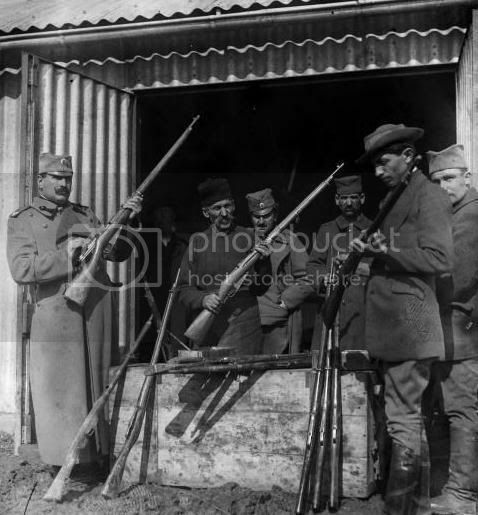 Notice the Mauser rifles. Notice the Sajkaca. 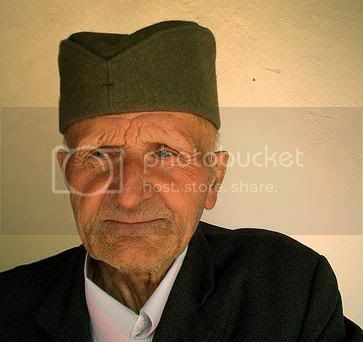 Notice how the officer is wearing a serbian Cap with Visor just as the officer is wearing above. These were not “ethnic Macedonians”! 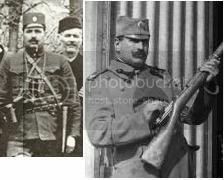 The coloured pictures above named "Here is an example of a Mauser type rifle:" and "The Mauser rifles that the Serbian army carried: " are wrong. That rifle is NOT A MAUSER RIFLE ! It is Manlicher, model 1888 -- Bulgarian Army official weapon before WW1. 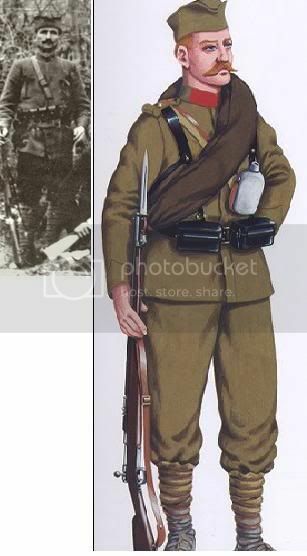 I am talking about the pictures of the rifle itself, not about what infantryman are carrying.